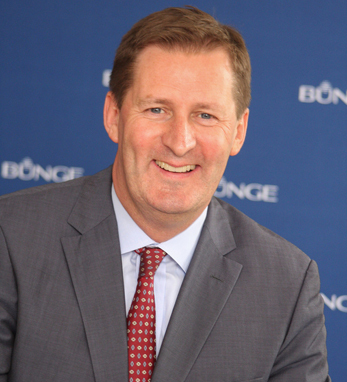 Gordon Hardie is the managing director of Bunge Food & Ingredients as well as a member of the executive committee of Bunge Ltd., a global agribusiness and food company dedicated to improving the food supply chain from farm to shelf to stove top. Prior to joining Bunge, Gordon spent 12 years in Australia, where he co-led the IPO for Goodman Fielder, Ltd. on the Australian Stock Exchange. It has since become the largest listed food company in Australasia. A native of Cork, Gordon holds a B.A. in languages and psychology and a higher diploma in education from University College, Cork, and an M.B.A. from University College, Dublin’s Smurfit Graduate School of Business, where he was recently honored as Alumnus of the Year.